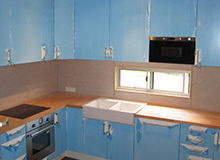 The Flatpack Kitchen Specialist - Call 0434 953 682 for an Obligation Free Quote! 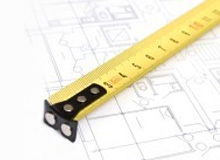 Attend your home and measure up your kitchen area , plot all relevant dimensions, doors, windows, etc on the Ikea Planning Tool, this is then saved on the planner with your own username and password to enable you to open it up at any time. This gives you an accurate floor plan of your kitchen for you to either design your kitchen yourself or you can take this to Ikea where the staff will help you to design your kitchen in store safe in the knowledge that all your measurements are accurate. Fee $ 150.00 in Brisbane and inner suburbs. 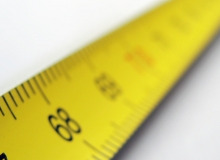 Check measure all critical dimensions of your pre-designed kitchen plan and advise on any issues that may effect the design and installation of your new kitchen. Check that your existing plumbing and electrical services can be re-positioned for the new kitchen. Check your Ikea items list to ensure you have everything needed to complete the installation. Advise on any necessary changes that need making to your design. Provide a written quotation for the installation of your new kitchen. * Please note a kitchen design must have been created on the Ikea Planning Tool and your design username and password supplied to The Kitchen Installer before a site visit can be booked. This option consists of accurately measuring your kitchen area and loading the dimensions into the Ikea online planner to create your floor plan. This will then be saved to your own personal Ikea profile page with your own unique log in details which we can set up for you. 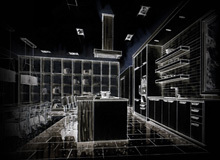 The next stage is to then design your kitchen with you on the 3D planner in the comfort of your own home. Once you are happy with the look of your new kitchen the final design is saved to your profile page with your original floor plan. Once your design is saved all you have to do is visit store , provide the kitchen dept staff with your log in details and they will organize the purchase of your kitchen for you which will then be delivered to you within 2 days. We will also provide you with a written quotation to install the kitchen. The Kitchen Installer can provide a full professional installation service including the removal and disposal of your old kitchen , recommend qualified sub trades to disconnect your existing appliances and reposition services for new appliances as required. We can then install your new Ikea kitchen and arrange for the reconnection of appliances. Stress Free Kitchen Installation, in Brisbane and surrounding suburbs. The Kitchen Installer can help you with all your kitchen installation needs. From helping you select the right kitchen for your home, to managing every aspect of the installation – including: removal of the old kitchen, and organising all of the tradesmen needed to bring your new kitchen to life. We specialise in the installation of IKEA flat pack kitchens, and can even help you design and select your new IKEA kitchen. We recommend IKEA Kitchens for their great quality and flexible design. To read more about how The Kitchen Installer can help you with your next Kitchen, please click here. With over 20 years experience of kitchen installations, you can rest assured that The Kitchen Installer has you covered. So if you are looking for an IKEA Kitchen installer, who is experienced, friendly and provides exceptional quality, then look no further! For more information about our services, please click here, or contact us for a quote.